Abstract: One of the most important factors that stock investors use to make investment decision in the stock market is the amount of dividends that company has paid in the past and is expected to pay in the future. The purpose of this study is to examine the impact of independent directors on the decision of US manufacturing firms about the amount of dividends. The study used a sample of 183 US manufacturing firms listed on the New York Stock Exchange (NYSE) for a period of five years (from 2009-2013). By applying a co-relational and non-experimental research design, this study found that the presence of independent directors positively impacts the decision of US manufacturing firms about the amount of dividends. The results also show that the decision of US manufacturing firms about the amount of dividends is positively associated with audit committee, firm size, firm age and financial performance and negatively associated with operating risk. The findings may be useful for financial managers, operations managers, financial management consultants, stock market investors and other stakeholders. Rinck, John S. “Some Advice Before Making That Decision.” Respiratory Care Management Bulletin for the American Association of Respiratory Care (Spring 2015). Abstract: Some decisions never come easy; ones that do are rare. Managers face a multitude of daily decisions that demand time and attention. Information overload is the norm, yet the expectation is to make spontaneous, often high risk but sound decisions. Even the most seasoned managers experience delays or suboptimal choices under these conditions. Fortunately, decision making is a skill that can be learned and should improve with experience. Theoretical models may be helpful and focus on willful choice, reality-based, or combinations of the two coupled with quantitative, qualitative, descriptive, or prescriptive considerations.1 Decision models address “what” and “how” without venturing to explain “why.” The more challenging task is to understand what boundaries, shortcomings, or blind spots affect the decisions we make. Griffin, George, Maia Noniashvili, and Nino Enukidze. “Consumer Behavior in The Republic of Georgia regarding FMCG Products: The role of Russia in affecting Consumer Behavior after reaching DCFTA with EU countries.” Journal of Eastern European and Central Asian Research 2, no. 1 (2015). Abstract: Until 2008, Russia was one of the major importers of Free Market Consumers Goods (FMCG) products from Georgia as well as a major exporter of FMCG products to Georgia. After conducting a large-scale aggression against Georgia in August, 2008; occupation of two territories in Georgia, ethnic cleansing of people in those territories; and giving recognition of independence to these two territories; Georgia terminated diplomatic relations with Russian Federation on September 2, 2008. After Russo-Georgian war in 2008 the amount of imported food products from Russia decreased. The aim of the research is to study Georgian consumer behavior; identify the factors which influence consumer behavior as a result of the Russo-Georgian War and The European Union Association Agreement; and to analyze the impact of the occupation of the Georgian territories had on trade relations with Russia. Abstract: This study examined the impact of independent directors on the cash conversion cycle of American manufacturing firms. A sample of 189 American manufacturing firms listed on the New York Stock Exchange (NYSE) for a period of five years (from 2009–2013) was used. The findings indicate that the presence of independent directors on the board of directors shortens the inventory period and cash conversion cycle of manufacturing firms. The study contributes to the literature on the factors that shorten the cash conversion cycle of the firm. The results may be used by financial managers and operations managers. Organizations are changing places where learning and knowledge creation is under perpetual construction. In order to keep pace with these changes, applied business research courses for graduate business students need to go beyond the ideology that business decision making is a tidy and rational process. To portray business decision making as a strictly goal-oriented and rational process overlooks the reality of the complexity of contemporary organizations, and this perspective may result in rigid thinking and single-loop learning. The purpose of this chapter is to present a complex responsive approach to applied business research that encourages flexible thinking and double-loop learning. The most comprehensive applied research studies in the future will be those where researchers become immersed in the research process and engage with participants in the process of learning and knowledge creation. Through this process, researchers help unleash the creative potential of the organization and gain a valuable learning experience. Sukhodoeva, L. F., and James Coe. “Innovations in Training Leaders of an Organization.” Economics Bulletin of the Nizhny Novgorod University 2, no. 1. (2014): 278-282. Abstract: It is mandatory in the present-day global business society that leading universities should incorporate innovative and global factors which enhance business leaders’ educational needs. If higher education stays relevant in a world which has become linked in business economic interdependence, the use of innovative methodologies in presenting learning experiences for these leaders becomes imperative. Sanders, Charles G. “Why the Positional Leadership Perspective Hinders the Ability of Organizations to Deal with Complex and Dynamic Situations.” International Journal of Leadership Studies 8, no. 2 (2014). Abstract: The 21st century competitive global environment is dynamic, complex, and multi-cultural, and necessitates a more rapid response to changes to survive (Rost, 1991). The most effective approach for dealing with this is to involve employees in the various leadership processes for the organization (Pearce & Conger, 2003; Raelin, 2003). However, the leadership role described is not the common view of leadership based on authority. Rather, the required leadership is based on everyday influence processes by anyone in the organization derived from knowledge and the recognition for the need for a specific change. This paper shows how the perpetuated perspective of leadership as something reserved for persons of authority actually inhibits the very organization behaviors called for by the complex and dynamic situations in which they work. 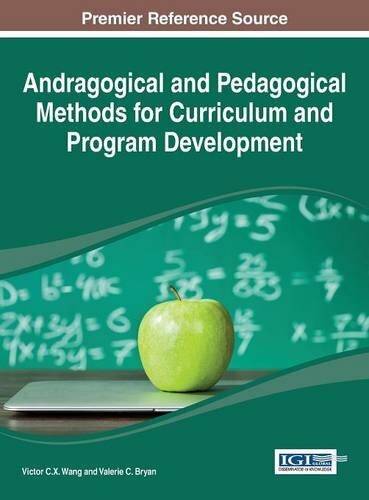 The objective of this chapter is to introduce improvisational self-directed learning as a transformative approach to developing effective adult learning. Improvisational self-directed learning is a method that encourages individuals to leverage their psychological capital and self-directedness through the exercise of human agency. It is common practice to focus on content-related learning objectives while designing educational curriculum and programs. Less routine is a simultaneous focus on the psychological state, human agency, and self-directedness of those involved in the entire process. The type of transformative learning communities necessary for effective 21st century adult education require ongoing faculty and student development. This chapter provides a theoretical framework based on human agency, psychological capital, improvisational behavior, and adult learning. The use of improvisation is presented as a technique for leveraging psychological capital, human agency, and self-directedness to create thriving 21st century learning communities. Griffin, George, Maia Noniashvili, and Mikheil Batiashvili. “The Implementation and Results of the Use of Social Media in the Republic of Georgia.” Journal of Eastern European and Central Asian Research 1, no. 1 (2014): 8. Abstract: The Republic of Georgia has begun a transition from old world economics to integrating social media and the Internet to provide a global presence for the country. Research shows that the Georgian people have significantly embraced social media as a means for conducting business and connecting with many countries on a global basis. Internet subscribers have continually increased in numbers; thus the numbers of social media participants has also increased. This paper addresses the history of Georgia, the current status of social media in Georgia, and the future for social media as it permeates the Georgian population. In order to maintain a robust economic recovery, Georgia citizens and businesses must continue to conduct business through social media pathways that will keep Georgia in the global market. Abstract: A current challenge taxi–cab owner/operators face in Canada is the lack of financing for taxi–cabs. This article examines business opportunities and lending risk; it also provides risk management strategies for financial institutions to manage the risk of lending to the taxi–cab industry. Members of the boards of directors and shareholders from the Canadian taxi–cab industry, and lenders from financial institutions that do not provide financing to taxi–cab owner/operators, were interviewed. Board members and shareholders were asked about their perceptions regarding business opportunity, risk, and their willingness to provide collateral for taxi–cab loans. Lenders of financial institutions were asked about their reasons for not providing taxi–cab loans. The findings of this study show that there is a reasonably attractive opportunity for financial institutions to offer financing for taxi–cab owner/operators. However, the findings also show that there are both systematic and unsystematic risks in lending to the taxi–cab industry. This offers recommendations on risk management strategies for Canadian lenders to mitigate the risk in lending to the Canadian taxi–cab industry. Our findings may be useful for new and existing financial/lending institutions, lenders, investors, and taxi–cab owner/operators. Sanders, Charles G. “Book Review: The Myth of Leadership (2004) by Jeffrey S. Nielsen.” International Journal of Leadership Studies 8, no. 1 (2013). Abstract:This provocative book is an excellent presentation of an alternative leadership perspective which is long overdue. Nielsen (2004) argues that the common elite hierarchical leadership perspective actually robs many individuals in an organization of the opportunity to contribute and share in the elements of organizational success, productivity, and more cohesive teamwork. Tracy H. Porter and Sharon E. Norris. “Workplace Spirituality.” In Integrity in Organizations, edited by Wolfgang Amann and Agata Stachowicz-Stanusch, 429-438. New York: Palgrave Macmillan, 2012. The business environment has undergone dramatic changes for the past several decades, and these paradigmatic adjustments have brought about new expectations about work and the work environment. It has been argued that downsizing, reengineering, and layoffs of the past few decades have turned many American workplaces into environments in which workers have been demoralized and taken for granted (Brandt, 1996). Individuals have witnessed the work environment become increasingly impersonal and, in some cases, insecure environments (Fry & Cohen, 2009). The push for higher economic returns, productivity, and profitability has crippled and eventually bankrupted once-prominent organizations. The wide road of traditional management has led many organizations and their leaders to perdition. Recognizing the downward spiral, humanistic managers have traversed the competitive environment by taking a road less-traveled. They are committed to creating workplaces in which making a difference and operating with integrity are balanced with enhancing productivity and making a profit. In humanistic environments, both human capital and financial capital are recognized as assets to be protected, wisely invested, and deployed with integrity. Designing the workplace so that people experience purpose and meaning in work, connectedness through positive relationships, and alignment of personal and organizational values, has been identified as one of the most important managerial tasks of the twenty-first century (Nichols, 1994; Milliman, Czaplewski, & Ferguson, 2003). Humanistic managers create environments in which spiritual-based values guide decision making, and employees are consistently provided with opportunities to perform at their best (Milliman, Ferguson, Trickett, & Condemi, 1999). Abstract: The article offers the authors’ insights on the changes in organizational leadership brought by technology advancements. It notes that leadership in technologically mediated environment has moved to the social networking members with the social media as more influential than people with authority. It mentions the creation of positive impressions which social networkings such as Facebook provides maintenance of large friend networks and struggle on how their profiles convey them. Norris, Sharon E., and Tracy H. Porter. “Making an Impression: The Influence of Self-Esteem, Locus of Control, Self-Monitoring and Narcissistic Personality on the Use of Impression Management Tactics.” The Journal of Organization, Management & Leadership 1, no. 1 (2011). debate between management and leadership by suggesting that future researchers explore the differences between impression management and leadership. Wallace, Richard C. “Engaging Business Practitioners to Develop Students’ Faith and Talents.” Christian Business Academy Review 5, no. 1 (2010): 23-30. Abstract: Bringing business practitioners into our classrooms provides unique opportunities to develop our student’s faith and talents. We discuss the benefits of guest experts in terms of informing and inspiring our students as well as broadening our networks for internships, jobs, and philanthropy. We confront two challenges: 1) persuading the experts to come to offer advice, and 2) convincing the students to take it. We offer ten suggestions to maximize the benefits of engaging business experts in our classes. Coe, James and Paul Carr. “Magnificence at Work: Living Faith in Business.” Christian Scholar’s Review 38, no. 1 (Fall, 2008): 163-164. Abstract: Magnificence at Work: Living Faith in Business begins with the profound suggestion that work is a paramount consideration and an integral facet of faith-especially from a Christian perspective: “work has always been the locus of God’s calling. It would be surprising if it were not, for work matters profoundly as a creative act, as a contribution to sustenance and community, and as a mark of human dignity and personal identity” (11). John Dalla Costa draws inferences as well as direct quotes from biblical perspectives that Jesus utilized the platform of “entrepreneurial commerce” in the gospel of Luke (20). He suggests that we knew the occupation of the disciples before we even knew their names as Jesus walked into their midst while they “were repairing and cleaning nets;” he points out as well that Christ was in their midst while they worked, and “he is in our midst while we are at work” (21). This is a very powerful reminder that while we work, Jesus and his teachings are with us also. It is evident the author is making the assertion that one cannot simply be a Christian in one facet of life but relinquish one’s faith while working. As an answer to this modern day reality, the author calls for spiritual growth and three stages of soul work. Coe, James and Paul Carr. “Intuitive Leadership: Embracing A Paradigm of Narrative, Metaphor & Chaos.” Christian Scholar’s Review 38, no. 1 (Fall, 2008): 164-166. Abstract: Alan Roxburgh begins the “Forward” to this text with an interesting and concise mes- sage regarding why and for whom the book was written and the intended story of the book. While Roxburgh suggests that the book is intended to be a guide for leaders, it appears as though the book may be aimed at pastors or preachers. At the same time, however, it ad- dresses the attributes of leaders in order to incorporate people of many areas of calling. “Forward” suggests the book’s intent: “It doesn’t provide a program or even a set of simple principles that, if properly applied, lead to all the answers. In these pages you will engage with the story of one leader’s journey as he engages those questions I keep hearing leaders asking all over North America” (11). Wallace, Richard Cheever. “Faith in the Halls of Power: How Evangelicals Joined the American Elite.” Christian Scholar’s Review 37, no. 4 (Summer, 2008): 515-518. Abstract: Evangelicals (including elite ones), as well as scholars and students of sociology, political science, communication, and business will likely find this book stimulating both in the facts it presents and the interpretations it offers. Along with the famous names are less well-known but organizationally prominent individuals including U.S. Senators, cabinet officials, entrepreneurs, executives, and major scientists. “Studio executives relied on this office and its Catholic counterpart to ensure that the film industry produced movies that would be well received” (118).\n Cosmopolitan evangelicals often see the “cheesy” subculture itself as a problem in promoting the evangelical cause. Bohus, Steve, Robert H., Jr. Woods, and K. Caleb Chan. “Psychological Sense of Community among Students on Religious Collegiate Campuses in the Christian Evangelical Tradition.” Christian Higher Education 4, no. 1 (January 1, 2005): 19-40. Abstract: The current study sought to identify factors which contribute to Psychological Sense of Community (PSC) among students on religious collegiate campuses within the Christian Evangelical tradition. The researchers examined responses from 596 undergraduate students at 11 Christian colleges and universities nationwide. The results support the viability of a new PSC construct in the religious collegiate campus setting. More specifically, the results suggest the possibility of a religious PSC construct (PSCALL) that contains elements of Lounsbury and DeNeui’s (1995) 14-item PSC scale but also items contextualized to a religious collegiate setting. Significant PSCALL differences were identified in the following areas: spiritual well-being, religious commitment, minority/non-minority status, living arrangement, major, and class level. Contrary to previous studies in the secular college campus setting, PSCALL differences in gender could not be identified. This study extends previous research on PSC in general and the PSC construct in the Christian college campus setting specifically. Theoretically, the current investigation supports the notion that certain aspects of community change from setting to setting and that even the meaning of “community” changes depending on context. Wallace, Richard Cheever. “Exploring Norms and Moral Authority through Content Analysis of Classic Texts.” Teaching Sociology 21, no. 1 (January 1993): 90-94. Abstract: This article presents an assignment which can help solve some problems related to teaching. These problems include :how one can teach students to grasp clearly the concepts of norms and sanctions in relation to the more nebulous notions of values and morality; how one can give students practice in the often challenging area of content analysis; how one can bring classical writings from various cultures into sociological curriculum; how one can deal with the realm of ethics in classes without straying toward a parochial ethnocentrism or an “anything goes” cultural relativism.